With Fujifilm X Acquire, users will be enabled for transferring the images they take with the camera to the PC or Mac. It can be done easily once the compatible Fujifilm GFX or X Series are connected to the PC or Mac. More importantly, the images transferred will be saved in the specific folder. The camera settings can also be restored or backup via the USB cable. People need to pay attention to need of supporting tethering of the cameras. The right support can be found from Fujifilm GFX 50S all versions if they use USB but if they use Wi-Fi, at least version 1.10 will be needed. At least Fujifilm X-T1 version 3.10 will be needed. Fujifilm X-T2 version 1.10 is enough for USB while the Wi-Fi needs version 2.10. Version 4.00 will be minimum requirement for Fujifilm X-Pro2. Once again, this system allows users to backup or restore the setting of the camera via USB but there will be camera compatibility requirement for this purpose. All versions of Fujifilm GFX 50S can utilize this feature. Fujifilm X-T1 version 5.20, Fujifilm X-T2 version 1.10, Fujifilm X100Fversion 2.00, and Fujifilm X-Pro becomes minimum requirement for utilizing the camera setting backup or restore feature with Fujifilm X Acquire. Now, people need to make sure that their PC or Mac is compatible for this system. Windows OS PC which can utilize this system includes Windows 7 Sp1, Windows 8.1, and Windows 10. Here are Mac OS options which are compatible for the system including Mac OS X 10.7.5, Mac OS 10.8.5, Mac OS 10.9.5, Mac OS 10.10.5, Mac OS 10.11.6, and Mac OS 10.12. For downloading Fujifilm X Acquire, people can access the links below for Windows and Mac. After the file has been downloaded, it can be double clicked for installing. 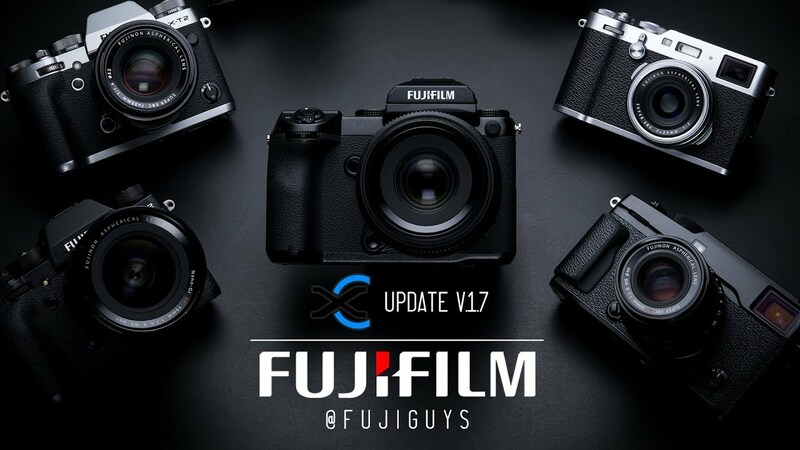 0 Response to "Fujifilm X Acquire Version 1.7 Installer Software Download"